You’ve heard of SETI, right? It’s the Search for Extraterrestrial Intelligence, where astronomers point telescopes at distant stars in the hope of hearing signals from alien civilizations. But what you might not know is the person who started it all. 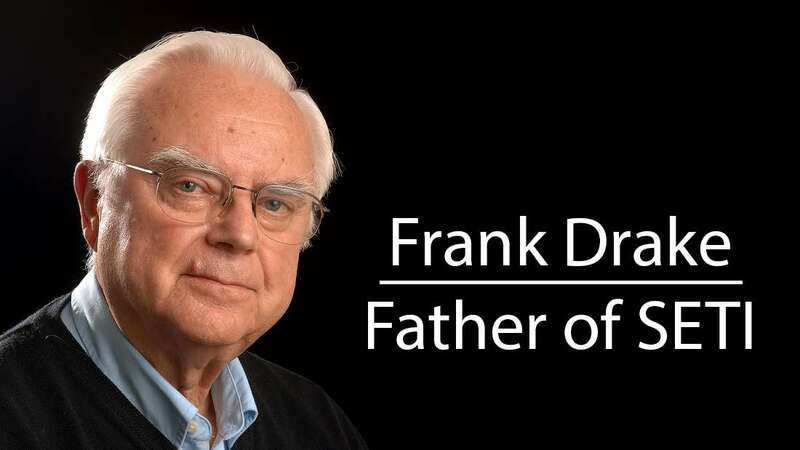 That person is Frank Drake, now 86, who in 1960 conducted the first modern SETI experiment. Called Project Ozma, he used a 25-meter (82-foot) National Radio Astronomy Observatory (NRAO) telescope in Green Bank, West Virginia, to study stars 11 light-years from Earth. For that reason, he’s often called the “father of SETI”. Last week saw the second annual Breakthrough Discuss conference take place, a meeting of scientists searching for life across SETI, planetary science, and more. Drake was there, too, and six decades on from his initial search, we caught up with him about the state of the industry. That’s not to say it has been an easy ride for SETI, though, nor does it continue to be. It has often been regarded as a fringe science, relying on donations from benefactors as opposed to government funding to continue its work. Indeed, the latest extensive search – called Breakthrough Listen – is being funded to the tune of $100 million by Russian billionaire Yuri Milner. Using Milner’s money, Breakthrough Listen has bought observing time on three powerful telescopes around the world – the Green Bank Radio Telescope (GBT) in West Virginia, the Lick Observatory’s Automated Planet Finder on Mt. Hamilton in California, and the Parkes Radio Telescope in Australia. Just the other day, the first scientific results from this project were announced, and while they came up empty-handed, there is now a great opportunity to perform one of the most extensive SETI searches ever. That’s not to say Drake hasn’t tried. In 1961, he devised the famous Drake equation, a formula that he said could predict the expected number of technological civilizations in our galaxy. It hasn’t been devoid of criticism, but it does at least provide a rough guideline for finding intelligent life – and it’s been heavily referenced ever since. However, Drake noted that the advancement of technology on Earth has made us in particular less detectable. For example, the way television is delivered to people’s homes has changed from old transmitters to low-power transmissions in the form of satellite and fiber optic delivery. As such, this makes us harder to find. “Old transmitters typically radiated a power of one million watts, most of which went off into space,” he said. “Transmitters on TV satellites transmit only 20 watts. And that is all carefully focused on Earth, where it is almost all absorbed in the soils of Earth. So the amount of signal that leaves Earth has gone from one million watts to one watt per channel. There is another way, though, which is known as Active SETI – sending signals purposefully towards a star or planet in the hope that they will hear us. Drake was part of the first such endeavor, called the Arecibo message, which involved using the Arecibo radio telescope in 1974 to send a direct message containing information on our planet and humanity to the globular star cluster M13. Don’t give up all hope just yet, though. Thanks largely to Milner, SETI has a new lease on life through Breakthrough Listen, and other organizations like the SETI Institute are still busy searching the sky. Whether we’ll ever actually find a signal, well, that’s hard to say. But there is at least a new clamor to look and find out.